Have you ever wondered how successful people manage to do their jobs and take care of their enormous responsibilities, and all the while enjoy their time? If you ask some of these successful people, their answers to the question above might be different. After all, everyone has an opinion of how they run their life. But when thinking about this particular matter, a philosophy comes to mind which can be attributed to all aspects of life on a larger scale. Imagine that you are sitting at home in the afternoon of a casual day. The TV is on and is showing a rather entertaining program. The radio is also broadcasting the news in the other room. You are looking down at your phone, chatting with your friends while your headphone is playing music in your ears. Now, you might feel the existence of all these elements in the world around you, but do you pay attention to each and every one of them equally? 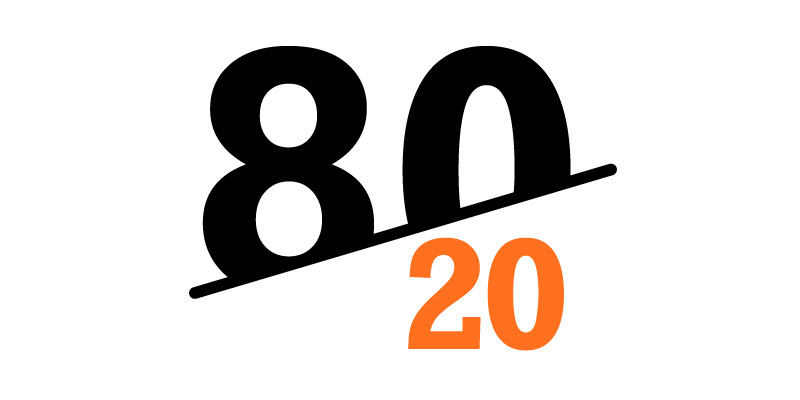 The Pareto principle or the 80/20 principle is the same argument in essence. This principle claims that around 80 percent of the effects come from 20 percent of the causes. This theory of relativity can be seen in the laws that both govern our universe and our society. In economics, you could prove with valid data that 80 percent of the sales come from 20 percent of the clients. You can find many a natural phenomenon that follows the same pattern. Now think about your daily life and try to bring this principle to wreathe meaning into how you spend your time. Let’s put this into perspective. If you wake up tomorrow and have 10 items in your to-do list, the principle can prove that when you consider everything that is of importance and value to your life and your future, you will realize that 2 of those items in the list should have a much greater priority than all the other 8 combined. You may need to do all those 10 things on the list, tomorrow or the days that follow it, but what moves your life forward and brings you closer to achieving your dreams are those two important items that we often neglect. Unfortunately, most people procrastinate when it comes to doing those two jobs, out of fear, doubt or outright laziness, and spend their times squabbling over the rest of the list, when in truth those 8 items will not gain them much. Now you may begin to understand why you don’t see reputable progress in your life. It is not because you are not doing anything, it is because you are doing the wrong things. If you want to get the most out of your life, you need to put value on the things that you spend your time on every day. For as long as you have 20 percent of the most important things that you have to do for your improvement and success, you should forsake the rest of the 80 percent or at least move it to a corner of the day. The problem is that the 80 percent will take most of your time, and give you fewer results or effects than what would be considered efficient for your life. Never do the small things first, and never be afraid to go and start doing the things that really matter to your life and your existence. The inspiration and the motivation, the hope and the desire, and the confidence and the strength that is needed to get on with those things will eventually find you. Consider the application of the Pareto principle in your life, which is one of the most fundamental rules of the universe we inhabit, to see how it can change everything forever. If we analyze all-day activities, we find that only twenty per cent of activities are worthwhile. According to psychology, if we are doing many things together then our greatest attention centers on the same thing in which we are interested. You used the earphone in ear to give an example of chatting with friends while listening to music. I can certainly say that despite playing music, the person would not be able to hear his voice because all his attention was centered on his interesting subject chat. I do realize that doing things towards your goal offers an infusion of energy towards completion. And, even though it's only 20 percent, it can consume 80 percent of your time, which in turn sparks a concurrent amount of energy. Admittedly, I'm more of a methodical creature. The daily routine has to be implemented before my creative energy sparks...Odd perhaps, but...it's just how, and part of, who I am. You have written about what has bothered me since I first heard it – multitasking. Most people who claim to multitask do a lot of things but many of them at a surface level. They revel in the volume of things accomplished rather than thinking of the quality of their doings. Volume does not equal quality. As the Pareto Principle helps us understand the 20% done first and well moves us forward in a much more productive way than trying to get it all done poorly at best. Thanks for the lesson! The 80/20 rule was something I learned in college and has always been a guiding principle in everything I do and approach in life. 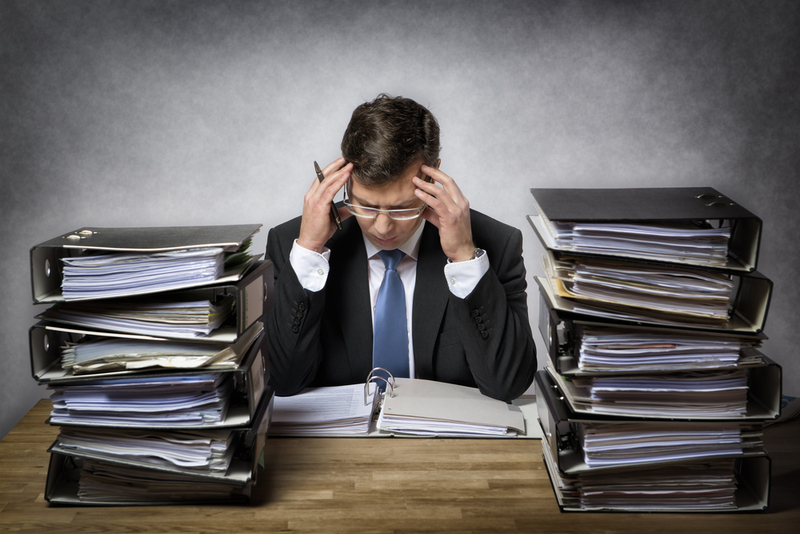 I tend to prioritize the more difficult tasks while also handling the quick and easy tasks. That way I can spend more time on the tasks that are not as critical but can become difference makers when solved for. Unfortunately it's true! When we have a lot of things to do, we rarely do a decantation to keep the most important things. We don't have priorities, and in the end we end up devoting a little or almost no time to important things. The current human being boasts of doing a thousand things now at the same time, being a person who is in everything, but we should see how much of what he is doing is remaining, when what he is doing is giving him 100% and how much of that is really important in his life! I believe that time has taken us to be a human being of average, little by little, of 20%! It's always good to read you. Thank you dude, I’ll try to live by this rule because I’ve seen this phenomenon occur a lot and it’s got me thinking that on some things I should cut back and some things I should concentrate more on such as build new skills and personal development traits. It is true, many times we make things easier to do everything faster, but those that require more time and have more importance, we postpone ... It has happened to me sometimes! This 80/20 thing is amazing, this definitely will turn out to be beneficial. keep up with such inspiring and good content. This is the second time I've read about this principle and I haven't yet mastered in my life. Yes, most of the time we're tired at the end of the day doing many things but we haven't accomplished anything. I likened this principle in erecting a building which tells us that the foundations should be laid first, and further furnishing follows. Weighty matters in our lives should be dealt with first. I always prioritise what I do to try and be effective and efficient. Sorry I have only just seen this thanks for the nice comment! 80/20 rule, how important it is. And the changes that you can reach are very amazing. Interest concept to add to my daily routine. We have so much to unlearn, we have so much to lose, to find what really matters! 80%/20% principal must have great impact in our life, it should be followed by us for achieving our goal. A BIG HUG. I’ve heard of the Pareto Principle before and I can say this post is true for many aspects of life. This is definitely a refresher needed so I can reflect on things I need to improve on and to keep focus on my goals. Thank you for sharing your thoughts! You got a 50.00% upvote from @emperorofnaps courtesy of @chbartist! You got a 100.00% upvote from @upmewhale courtesy of @chbartist! This is pretty useful when you have a lot of things to do. As you say: We cannot catalog all the tasks/activities as important. There will be some of those items which might be more important than the rest. But there's the other side of the coin: The urgent things. Which one should I do first? Well, It depends on how urgent the activity/task is. Reading this helps me to make a retrospective of my daily life. Thank you! This blog of yours is, as usual, is very invaluable one. When i heard this 80-20 Pareto principle, my mind immediately got the thought of 20-20 cricket. You may ask me how both can be related. The thing is if we follow 80-20 principle, our life will start seeing immediate, quick results just like that of 20-20 cricket. Sir, i need to add one more thing here. When I start doing my work, which is my bread and butter, very soon i used to lose interest and start browsing in social media networks. i.e., the work which is very, very important to my life is becoming unimportant to my mind and the one which belongs to time pass category is gaining interest in my mind! So, instead of doing 2 important things, i was doing 8 unimportant things and now i realized my mistake. This change, i must say, is due to this timely article, which made my mind to understand what to do and what not to do. Thank you very much @chbartist Sir.